We also have green aventurine rough available in volume, please contact our special requests department for further information. 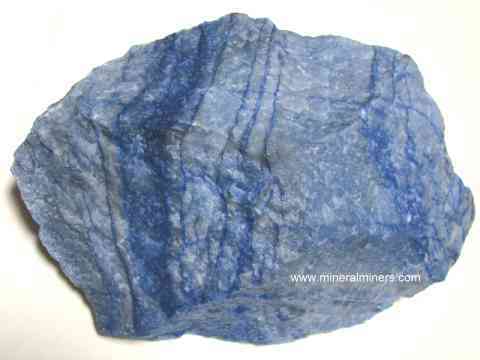 See also our natural color blue aventurine quartz Lapidary grade rough specimens, and our page displaying all of our lapidary grade aventurine rough. Our aventurine rough specimens are all natural color and lapidary grade. They are 100% unheated and untreated - exactly how they formed inside the earth! To see more green aventurine photos, just select another item category from the table below. Would you like us to inform you when we add on this page more natural color green aventurine quartz lapidary rough (colorless quartzite with natural color green fuchsite mica inclusions)? We literally have tons of superior grade natural color green aventurine quartz lapidary rough in stock at our mineral warehouses, so be sure to let us know if you have any special requests. Please contact our webmaster or our 'site' geologist with any questions or comments.